This is one culinary experience not to be missed! 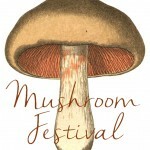 Join us Saturday afternoon from 2-5 pm in Los Alamos for the gustation of mushroom-centric dishes and Bedford wine. Over adozen mushroom varieties featured from complex pates to wood-fired flatbread. See EVENTS for more details. You are currently browsing the Bedford Winery blog archives for January, 2016.